Verdict: Polished, fun and intriguing! 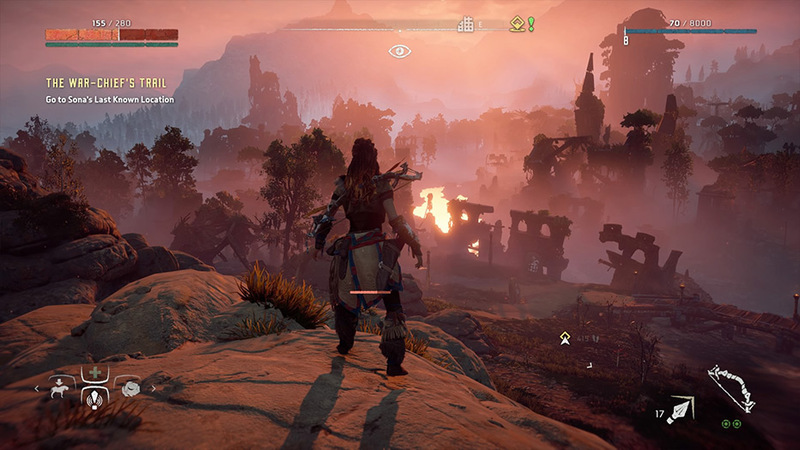 Horizon is in many ways like The Witcher 3’s younger, less complicated sibling. Not as deep, but interesting and fun to hang out with. Don’t miss out on our huge photo gallery post here. Horizon Zero Dawn is a direct result of a group of really (really, really) talented developers taking a look at existing games like Assassin’s Creed, Far Cry, Red Dead Redemption, Tomb Raider and a few more and then giving them the “Hold my beer and check this out” treatment before disappearing into a hole for 5 years. 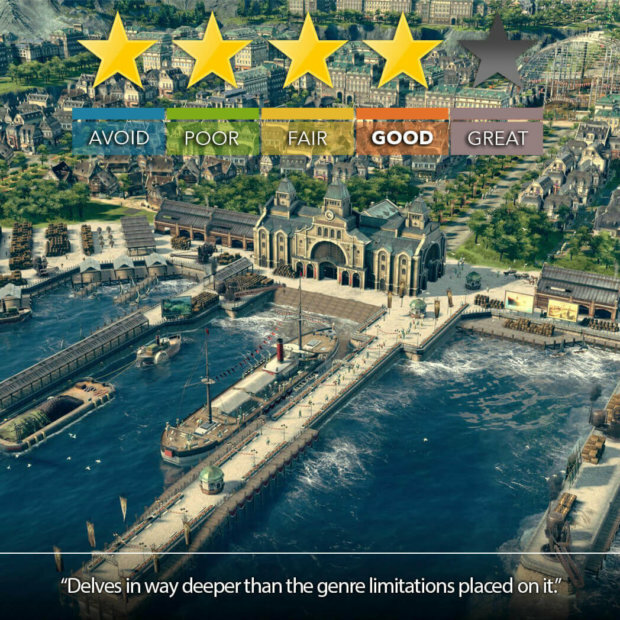 The result is an incredibly streamlined take on an existing genre that’s a marvel to behold and a joy to play. 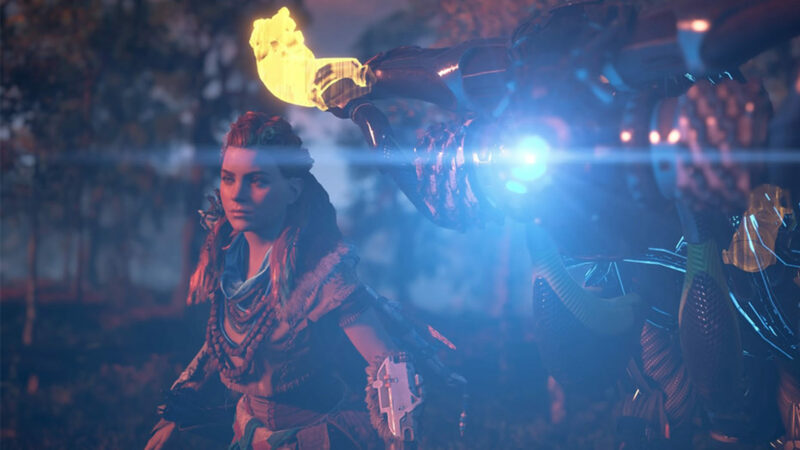 The story revolves around a young motherless girl Aloy, who is born and raised by-and-as an outcast in a world of strict tribal law and strange machine-like wildlife from a long lost civilisation. 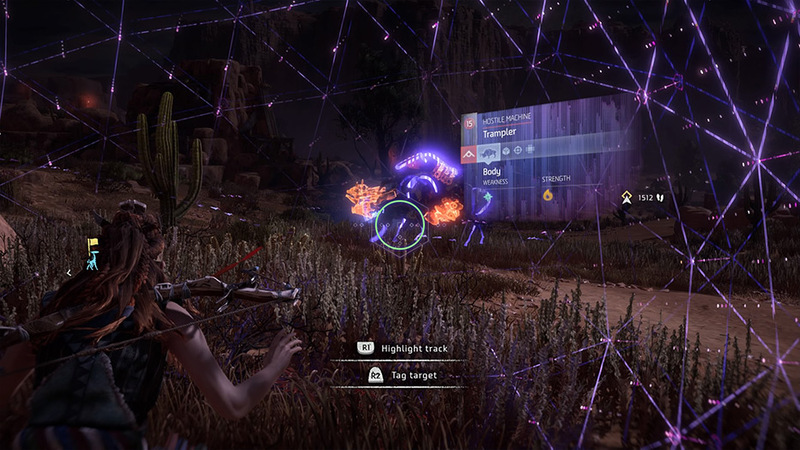 Aloy sets out to do everything in her power to enter and win a tribal tournament that will remove her status as an outcast and provide her with all the answers she seeks. She soon discovers that there’s far more going on than meets the eye, thanks in part to a small technological device she discovers as a child. The Horizon is drop-dead gorgeous and somehow brings near-Uncharted levels of visual splendour to a huge open world. Combine that with its far-future setting, a stunning score as well as some top-level art direction and you have a world so thick with atmosphere that it alone could almost be worth the price of admission. The map is massive and unlike many other open-world experiences, felt lovingly crafted with memorable areas, features and a variety of locations that range from snowy mountains to desert canyons. 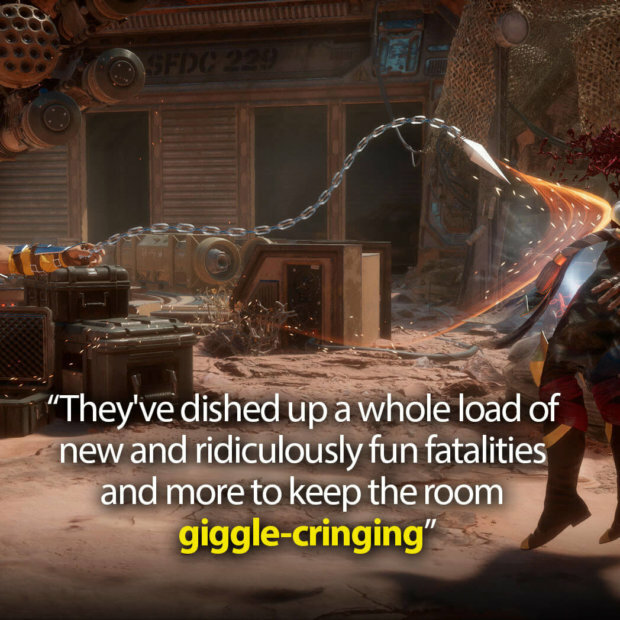 The real meat and potatoes of Horizon’s fun revolves around hunting, fighting and sometimes downright avoiding mechanical beasts that range from Robo-Cows to a Terminator-Rex (not their real names). Combat is fluid and fun and allows you to use a mixture of stealth, ranged, close combat and crafted items, and the enemies are varied and interesting in that they have exploitable weak spots and traits that end up being fun to learn, and as a bonus you’re even able to override some of them to use as mounts. It’s all good fun. In my experience, gameplay has seen a split of around 35% combat, 50% being out exploring the world and 15% talking/trading. The gameplay can feel overly familiar at times, especially when sneaking around in tall grass performing stealth kills a la Assassin’s Creed or arrow-sniping bandits in a camp like in Far Cry / Tomb Raider but what’s important to note here is that I cannot overstate just how polished it feels, and really just how responsive everything feels, not only with combat and movement but with even in the menus and inventory pages. The game really wants to be a smooth and simple experience as much as it can, and I was surprised at how much of an effect it had on the overall experience. 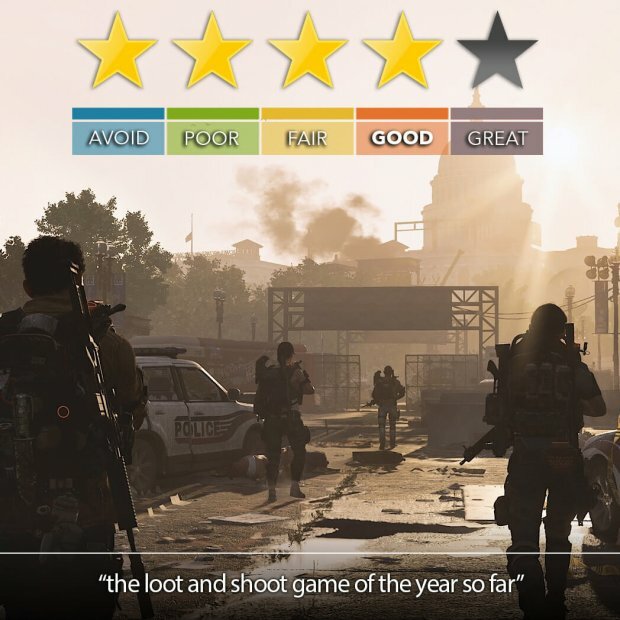 Main quests are packed with major highlights but the side quests range between good and just okay, although it must also be said that I was really happy that I never felt like I was just being loaded with busy work (Please pay attention Ubisoft). If there’s really anything to complain about its only that the game does still feel overly familiar at times and some of the characters/dialogue came off as a bit drab. I also got a little lost due to the map lacking any sort of legend but when that’s all you really have to complain about… well then I guess someone did something very right.